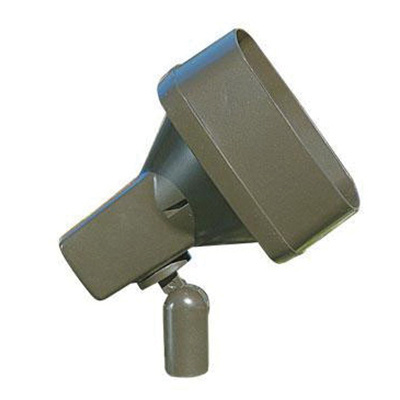 Philips Lighting Hadco® Collection Accent bullyte features die-cast aluminum construction with bronze thermoset powder-coated finish for effective corrosion resistance. 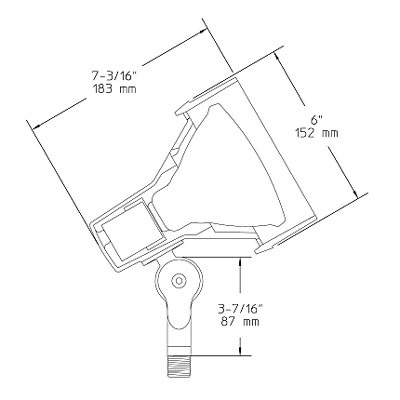 It accommodates a single 150-Watt PAR38/R40 incandescent lamp. The fully adjustable swivel arm with locking teeth offers complete flexibility. The bullyte has a dimension of 6-Inch x 7-3/16-Inch. Accent bullyte is ETL/cETL listed and meets ISO standards.